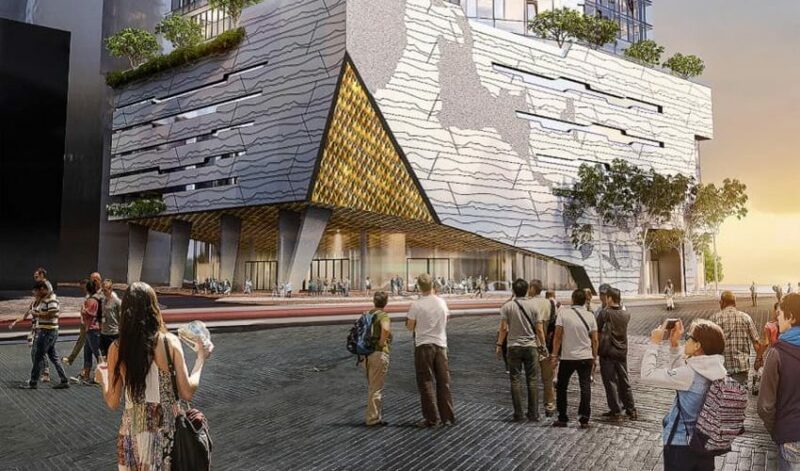 The Far East Consortium are proposing the development of two sites in the Metropolitan Redevelopment Authority’s Perth City Link Project Area. 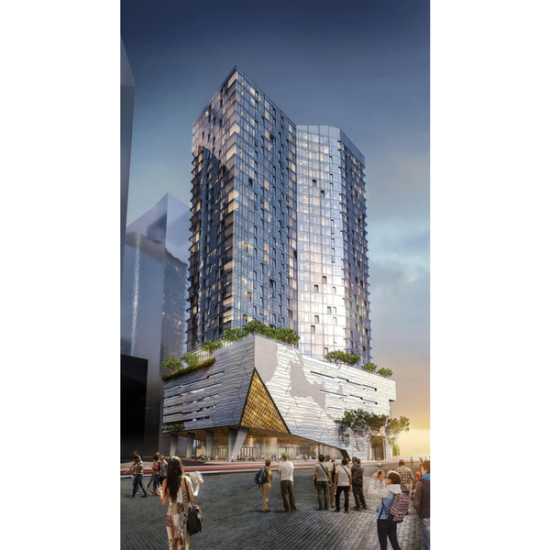 Situated at the western end of the Perth City Link, between the Perth Arena and Kings Square and Wellington Street and Roe Street, these new development sites will help to knit together Perth’s CBD and Northbridge, Yagan Square and the Arena. Lot 2, fronting Wellington Street, is planned to be a uniquely designed, thirty-level contemporary apartment complex. The building will house 299 apartments; with 450m2 of retail and commercial offerings and food and beverage outlets on the ground level. Lot 3A is planned to be a contemporary hotel to be managed by the Dorsett hotel franchise. The hotel will offer 270 rooms over 22 levels. Designed by Australian design firm Cottee Parker, the buildings will present luxurious materials and finishes. The project was initiated through the Metropolitan Redevelopment Authority’s Percent for Art Scheme.